Ceramic, porcelain and stone tile come in a broad range of colors and textures that offer durability and unique high-end finishes. 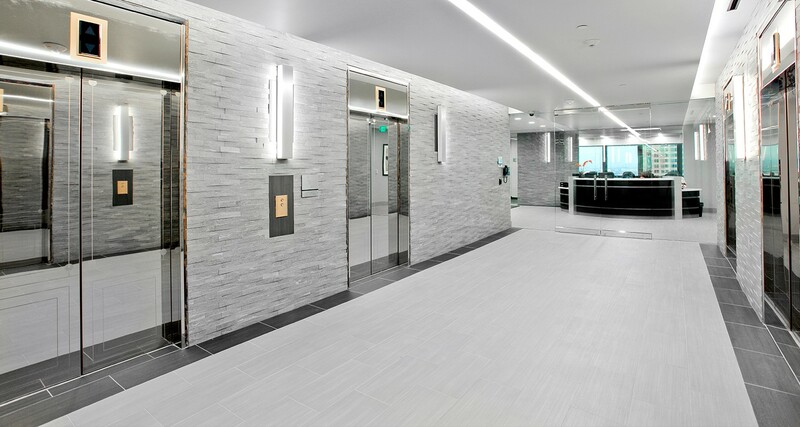 Porcelain, a type of ceramic tile, and stone are frequently used in commercial lobbies, entrance areas, high-end office buildings and restrooms with high foot traffic. We cover the spectrum of tile installation options – from small stone/porcelain tiles with intricate patterns to large format 120’ x 60’ porcelain wall tiles.